is performed with the intent of improving conditions or pathologies that have been diagnosed by a physician; a wide variety of modalities or procedures are utilized to focus the treatment based on the diagnosis condition. Myo refers to muscle while fascia refers to the elastic web of connective tissues that usually tie your body together. The muscles and fascia work together in order to support your body and to facilitate movement. Myofascial release techniques relieve pain and tension, which leads to lengthening of both the fascia and muscle. Prenatal massage on Long Island is very popular in addressing shoulder stress, low back pain and swelling. We require a doctor's note for all treatments in first trimester, any involved complications or high risk, pre-eclampsia gestational diabetes, etc will require a note. can help with stress. Massage is one of the best known antidotes for stress. Reducing stress gives you more energy, improves your outlook on life, and in the process reduces your likelihood of injury and illness. Massage can also relieve symptoms of conditions that are aggravated by anxiety such as asthma or insomnia. promotes the body's ability to adjust and balance during times of stress. Simply taking time out to relax can help you let go of tension and enjoy a feeling of restored balance in your mind and body. enables a practitioner to perceive and enhance the delicate movements of the craniosacral rhythm in the bones of the head, spine, and low back, and in fact almost anywhere on your body. The interaction between the practitioner and your body is as subtle as the craniosacral movement itself. Stress has a lot to do with the tension you feel in your shoulders; it can also affect your heart and your blood pressure. Working out muscle tension during a massage makes chronic pain, as well as acute or short-term stress, much easier to let go. That bad posture can quickly become a bad habit – massage loosens muscles and joints to reinforce the body's natural movements. Muscle tension constricts your circulation – massage helps release those chronically tense and tightened muscles to increase blood flow and help flush toxins out of your body. 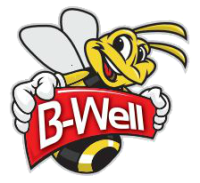 B-Well is committed to helping you return to a healthy and active lifestyle pain-free and without limitations. We are committed to providing the highest quality of care.